The state of Oregon is considering an amendment to a bill that takes aims at the highest rates in the country of vaccine exemptions that are non-medical. 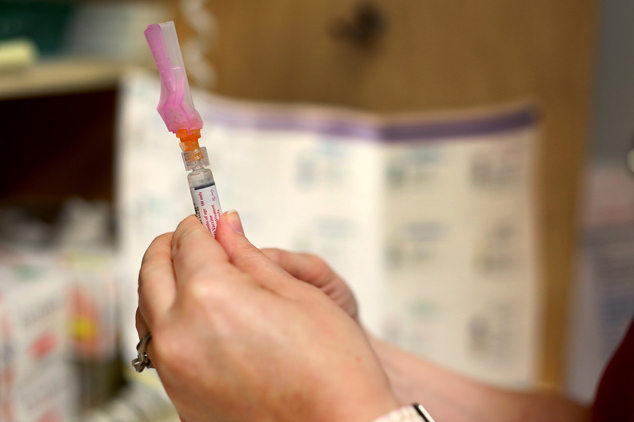 If the bill is to pass, Oregon would be joining West Virginia and Mississippi as just the only three states in the nation allowing vaccine exemptions only for medical reasons and no longer for person, philosophical or religious reasons. California, Vermont and Washington are considering bills that are similar to remove either religious, philosophical or personal exemptions. Oregon last year put a law into effect requiring parents that had kindergartners to consult with a professional medical care provider or to watch an educational video for one hour before the vaccines are waived. That measure was prompted by the high rate of exemptions in Oregon for kindergartners of close to 7%. Nationwide the exemption rate is approximately 1.8% of all the classes from last year, according to the U.S. Center for Disease Control. Figures for exemptions for 2015 have yet to be released but some members of the legislature in Oregon said they were hearing of parents against vaccines who just go through the motions when attending the consultations. Parents choosing not to vaccinate their kids have become a lightning rod during the measles outbreak scare that was traced back to Disneyland. In all, 133 people from across seven states including one living in Oregon and two in Washington were linked to the outbreak, says the CDC. The CDC said the vaccine for measles, mumps and rubella is effective at a rate of 97% at preventing the measles. The agency says vaccines are our best defense against a number of diseases and suggested a vaccine schedule could protect newborns against serious infections when at their most vulnerable. However, pockets of parents exist across the country that have chosen to delay or forgo vaccines or even opt out of the vaccine schedules recommended by states. Some cites religion and alternative medicines as two reasons to opt out. Others just spurn mandates handed down by the government.